Our neighbors to the north have the same problems with industrial malodours and their management as we do. They also share a reliance on professional solutions for help in this regard; and like so many other businesses, scent marketers and Jan San companies throughout the world, many have been turning to our odour-control and odour-management solutions for more than seventy years. The Sense of Smell Institute, which is the research and education division of The Fragrance Foundation and the non-profit, educational arm of the global fragrance industry, poses the biggest question for industry odours. If shoppers can recall smells with 65% accuracy after a year, how long will a bad odour in any business remain in the memories of customers? The answer is perhaps too prickly for business managers and owners to even calculate, but there is a lesson here. Canadian businesses must develop a working relationship with a highly professional odour control and odour management company, such as the ambient air-care experts at Air-Scent, in order to maintain a clean and fresh smelling commercial environment for both clients and employees. Scented environments are just as vital to Canadian businesses of all types as they are in the United States and other countries throughout the world. The strategic deployment on scents have resulted in fewer office errors and typos; improved perceptions of product quality; increased intent to purchase; more time spent in a retail store and even the willingness of consumers to pay more than expected for a specific product. To do this correctly and efficiently, proper scenting also entails the need for vaporous odour-neutralizing products and professional commercial-grade diffuser machines that maintain air freshening properties in areas that require it; such as large public interiors, retail stores, hotel lobbies, hallways, restrooms, trash rooms and other areas. 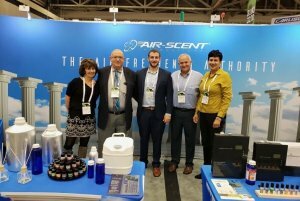 If you’re an air care distributor, building manager, HOA management company, hotel, hospital, janitorial sanitation company or any type of business that serves the Canadian public, read on to learn more about our vast array of professional scenting and odor control products, become a distributor or speak with our team today and order our products. Discover why scenting companies choose our superior fragrance oils the world over! According to a new study conducted by Global Info Research (GIR), the worldwide market for air-fresheners is expected to grow at a compound annual growth interest rate (CAGR) of roughly 20% until 2023. Air-Care is experiencing an expansion in use and is no longer viewed as just a means to remove foul odours. It has become an essential vehicle for enhancing both homes and commercial spaces, and consumers have demonstrated a keen willingness to experience pleasant smells in a wide array of formats, including scent machines, candles, diffusers and air-fresheners. Another study jointly conducted by Washington State University and Switzerland’s University of St. Gallen indicated that in order for a scent to influence a consumer’s state of mind it must be simple. More sales occurred when shoppers were exposed to a simple orange scent than when a complex orange-basil and green tea aroma was introduced to the setting. The study concluded that it is easier for our brains to focus on shopping when our brains are focused on an uncomplicated scent. 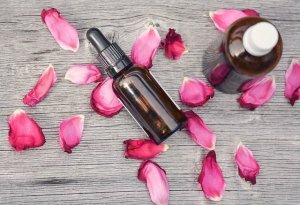 The use of fragrance has infiltrated many Canadian industries including: hotels, building owners, Home Owners’ Associations (HOAs), retail stores and boutiques; medical facilities, restaurants, auto dealership showrooms; retirement senior centers; retail stores; hotels; stadiums and schools and universities, just to name a few. One burgeoning sector that is really feeling the smell of things is the Canadian marijuana industry. Over the course of the last few years, Canada has become the world leader in pot production. E-companies flourish across every corner of the globe, as legalization of the drug for medicinal use expands more and more with each passing day. According to a recent Deloitte report, the Canadian cannabis market, which includes medical, illegal and legal recreational products, is expected to generate up to $7.17 billion in total sales in 2019. Of that amount, legal sales are expected to contribute more than half, up to $4.34 billion. The production of pot produces a pungent, very unpleasant “skunk-like smell”. In one section of Toronto alone where there are six licensed marijuana production plants in a community of 17,500 people, complaints are continuous and both neighboring industries and residents have formed a watchdog group directed at keeping operations in check. They also recognize the need for assessment and the elimination of this problem with effective odour neutralizers, for which many use our molecular odour-neutralizing additive, Metazene. You can’t have proper sent marketing without effective odour control. Enhancing customer experience and brand awareness is the power behind the phenomenon known as scent marketing. Throughout Canada, retailers and other industry leaders are keenly aware of the need to differentiate themselves from others of their ilk and scent marketing is the perfect vehicle to achieve this goal. Smell is the most powerful of all our senses, as scent receptors in the nose are directly linked to the limbic system in our brains that controls memory and emotion. It is so potent that experts believe that up to 75% of all daily emotions are affected by noses. Experts claim that an infant distinguishes smells before being able to perceive colors, sounds and textures. But introducing scent into a Canadian business environment is a delicate affair best left to the professionals at Air-Scent. In order for an aroma to successfully stimulate the buying impulse that lies within all of us an association with a product isn’t enough; the scent must be linked to the general surroundings. A keen example of this pitfall can be seen with some recent bus stop ads that were scented with a chocolate chip cookie aroma as part of a “Got Milk” campaign. It was so unsuccessful that the ads were removed the same day they were introduced. Even more, KFC is currently hoping their limited edition gravy-scented candle will attract the nasal attention and taste buds of potential customers. Ambient scenting is much more than just plugging in a unit and waiting for the crowds to rush in. It is a behavioral science applied to a real-world environment and as such involves many variables. Odour control, which usually accompanies scent-marketing initiatives, is an effective way for busy business owners and managers to maintain clean facilities without having to lift a finger. We offer complete assurance that their air freshening products and devices, whether for large reception areas or small bathroom spaces, will effectively tackle malodours as well as provide a consistent pleasing scent. Air-Scent distributorships already exist across parts of Canada, providing ambient air-care care products that far surpass industry standards to businesses both large and small; but we are always looking to expand coverage with new partners representing our quality products, be that in the form of textile and uniform rental, janitorial service companies, air care specialists or even the individual entrepreneur looking to start up a business. The door is opening slowly but surely for this established line of supremely effective products manufactured by a company that has been in continuous operation since the end of World War II. Our extensive experience reaps many rewards for the Canadian business owner and manager, as we understand all the ins and outs and dos and don’t associated with effective scent marketing and odour control. We understand that signature aromas are one-of-a-kind personal statements that reinforce a brand’s uniqueness and message to consumers. Their inception, creation, development and manufacture reflect the mastery of our chemists, perfumers and designers who have been perfecting their art form for well over seventy years. Our wide range of diffusion technologies and advanced scenting machines, fragrance and odour control products provide businesses with a flexibility that effectively neutralizes malodours and converts fragrance solutions into increased sales, regardless of room size — from large hotel lobby spaces that need evenly-diffused ambient scent to smaller areas such as: washrooms; trash areas; soiled linen rooms; pet areas, stairwells and other such settings. 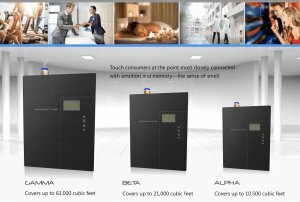 This Non-HVAC, dry vapor, bluetooth-operated scent-diffuser system efficiently freshens interior spaces of up to 50,000 cubic feet. It features no-spill Scentsia refill cartridges that consistently combat bad odours and offer a myriad of scent experiences that can be altered for customization, seasons or special themes. This system offers an enormous selection of prepared fragrances or the choice for a customized one will suit any mood or purpose. This highly versatile air-care system can work in many diverse commercial settings including: retail stores, hotels, health care facislities, such as spas and fitness centers, theaters, restaurants, office buildings, condominiums, schools, nursing homes, extended care senior centers, churches, day care centers and a host of others. The Aroma Beam sets the mood, freshens the air and neutralizes unpleasant odours, making every impression as important as that first one. There are two types of cartridges systems available for the Aroma Beam: the Aroma Beam Cartridge and The Aroma Beam Squair. The former features 30 full days of effective fragrance performance, which is available in many scent options. Custom scents can also be created if desired. The latter is a very versatile option because it permits the blending and matching from many aromas in order to create a one-of-a-kind fragrance. 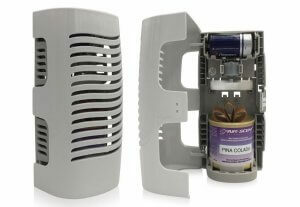 This diffuser system comes equipped with 10 refills, each pf which offer up to 30 days of adjustable fragrance. The Aroma Styler comes in three sizes and is an extremely versatile ambient air-care diffuser system that is ideal for smaller interior areas and well known for its Air-Wisp fragrances. It is available in three different sizes: Gamma, which covers up to 63,000 cubic feet; Beta for areas up to 21,000 feet and Alpha for spaces not exceeding 10,500 cubic feet. Powerful and easy to use, this system comes equipped with a built-in 24-hour battery backup on/off timer. It can be portable or mounted on walls. The cold vapor mist is both safe and effective and micro particles allow for immediate diffusion for long lasting results. Click to discover the Aroma Styler! Both the Aroma Beam and The Aroma Styler are equipped with the most powerful neutralizing additive on the market today, namely: Metazene. It works via a chemical reaction. The Metazene chemicals, which are heavier in composition than bad odour molecules, force an alteration in electron configurations and negate the properties of bad odours, causing them to sink and evaporate over time. They each also are available with Bluetooth-operated controls. This fan air freshener is perfectly designed for diffusing scent and eliminating odours. An extremely versatile option, its spill-proof tray holds virtually every liquid or solid refill type. This product is comprised of high impact durable polymers and is best known for its three-way ventilation for maximum airflow. Its design is both dust and vandal-resistant. Click to discover The Aroma One! For smaller office spaces, such as restrooms, foyers, hallways, vestibules and other interior areas, there are a number of air-freshening possibilities for combating foul odours. These include: gravity drip hygiene odour control cleaning systems, passive non-mechanical evaporating aroma diffusers, metered aerosol and time-operated mist dispensers. The most unusual aspect of this air-freshener is that it can instantly convert from passive operation to battery-driven fan power. This dispenser controls foul smells discretely via Solid Square Wafer refills. It’s slim construction can be placed anywhere odour-control may be necessary. It provides long lasting, effective odour-neutralization and aroma enrichment to smaller locations, such as:hallways, walls, lockers, under desks, trash bin lids, lodging rooms, foyers, restrooms, portable toilets, cars and elevators. This passive air-freshener also utilizes natural air and evaporation and has no need for batteries. Our perfumers, technicians and designers have spent over seventy years perfecting our diverse array of commercial-grade, trash room odor control systems. Click here to learn more about the most comprehensive, state of the art collection of effective odor neutralizing systems and products in the market place today. No matter how you spell it, odours are a smelly business. Bad odors are universal, whether that be in Canada, the United Kingdom, New Zealand, Australia, most of Europe, or any other country that adds a “u” to the word odor. Canadian business especially should avail themselves of the many available options we provide. Our cost effective solutions can transform any company’s all-important bottom line and set a mood of contentment among both employees and clients. Send us an inquiry or call to speak with our team today.